JL Advisory is a financial consultancy that offers financial and commercial advice to private and public sector clients. Based in Stockport’s Regent House, JL Advisory provides financial modelling, project financing, and accounts and financial planning services to a variety of clients from the Greater Manchester area and the UK. 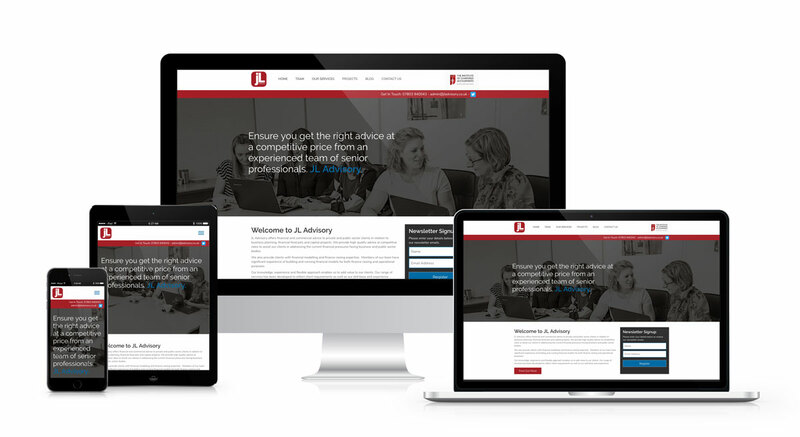 With a growing team, JL Advisory had outgrown their previous website and required a more professional web presence to better engage with their clients and the community. We are very pleased with our new website! Simple to edit, optimised for search, and mobile friendly. The Artlab team have been very professional in their approach and helpful throughout, I am looking forward to continue to keep this site updated and relevant to our business service offerings. As JL Advisory’s business and clientele continues to expand, we focused on providing them with digital presence that is flexible and best engages their prospective clients. With a focus on content, we created a custom WordPress website, hand coded from scratch, that features multiple content types, clearly defined calls to action, and a mobile-ready interface. As Google and other search engines switch their focus to mobile-friendly experiences, JL Advisory is well prepared for the future developments and algorithmic fluctuations. From design to launch, we hand craft code that is both fast and secure. For JL Advisory, we used modern development processes based in agile methodology to create a unique digital presence for the consultancy that can grow alongside their business. For launch, we achieved +80 scores on Google PageSpeed Insights through proper caching, minification of resources and image optimisation. This is a goal we set for all of our web development projects to achieve a high SEO ranking. JL Advisory self manages their own website, so it was important for us to provide them with a backend experience that was intuitive, easy to edit, and completely manageable. We work with several manufacturing and small companies to provide custom SEO solutions to help grow organic traffic. From this experience, we understand the importance of creating a website that at its foundation is optimised to achieve search engine results. We build search engine optimised, high performance websites. We’d be happy to discuss your next web project.